Cinderella Cake with Coachman’s Icing is an old recipe that is absolutely fabulous!! I’ve been going through my Grandmother Lucille’s “recipe bag”, and I came upon this recipe apparently torn off what looks like the back of an Imperial Sugar bag. 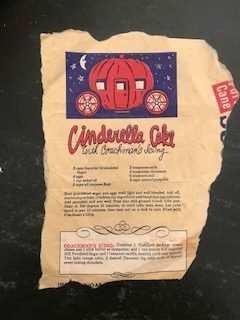 Now, I have no idea how old this recipe is, but I did a bit of research and I found a few other “Cinderella Cakes” with the same ingredients. I didn’t change the cake ingredients and it turned out delicious! 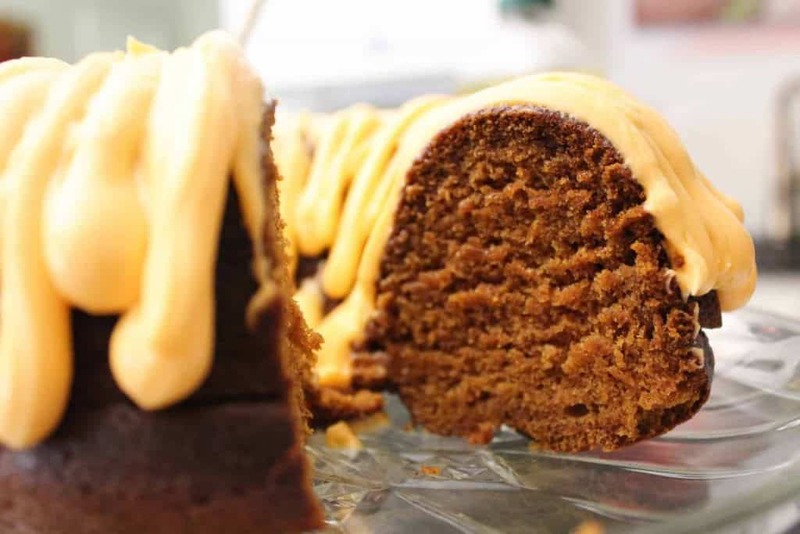 It is a nice, fluffy, moist cake with a mild pumpkin flavor and a hint of cinnamon. 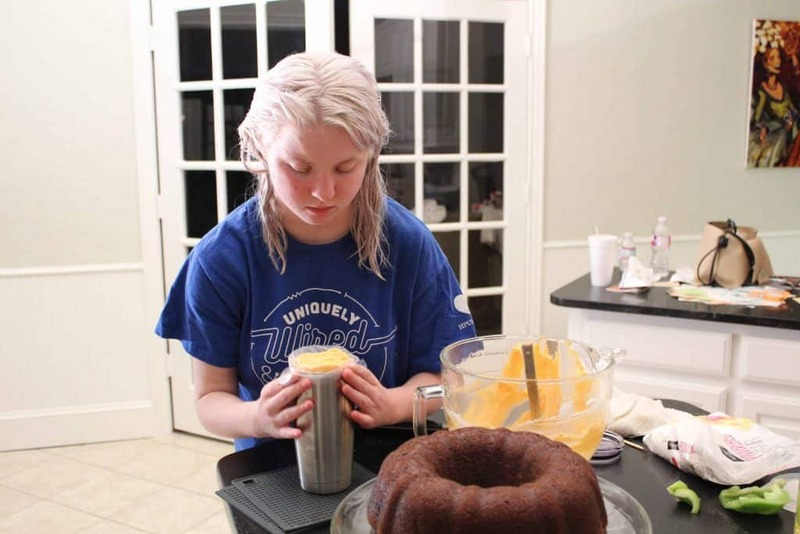 My daughter made her own icing recipe (she’s the baker in the family), and we tinted it the dressing with a bit of orange food coloring…not a fan of food coloring, but once in a while it’s okay…I guess. 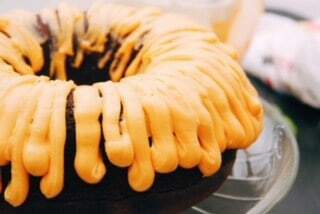 The original recipe called for a tube pan, but I really wanted a “pumpkin texture”, so I opted for a Bundt pan. I think Bundt pans were around back when, but if you’re curious and want to know the history of the Bundt pan, read here. The heavenly smell of baked pumpkin soon enveloped the whole house, and since the weather here in Texas suddenly changed from “pouring rain” to “sweater-weather Fall”, we were on Cloud 9!!! We all decided it was time to find the other missing house shoe, pull out the sweats and turn off the A/C! Hallelujah! 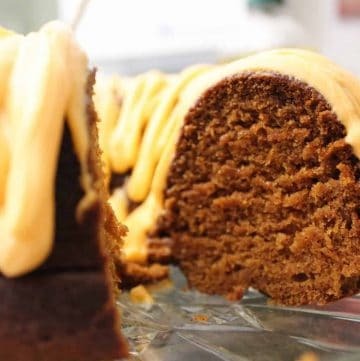 Fall has Finally Arrived!I hope you’ll try this classic pumpkin cake recipe…it really is nice, light and tasty for a sweater-weather evening! Can I Substitute Pumpkin Pie Mix for Canned Pumpkin? No. Canned Pumpkin Pie Mix and Canned Pumpkin are totally different. Don’t even go there. Use Real Canned Pumpkin. Can I Bake a Whole Pumpkin and use the Inner Flesh of the Pumpkin Instead of Using Canned Pumpkin? Why would you do that? It would take all night and day to roast enough pumpkins to get two cans of pumpkin puree… Good Lord. Just buy the canned pumpkin. It’s only once a year! Can I Bake this Cake in a Sheet Pan? Yes you can, but it won’t resemble a pumpkin. 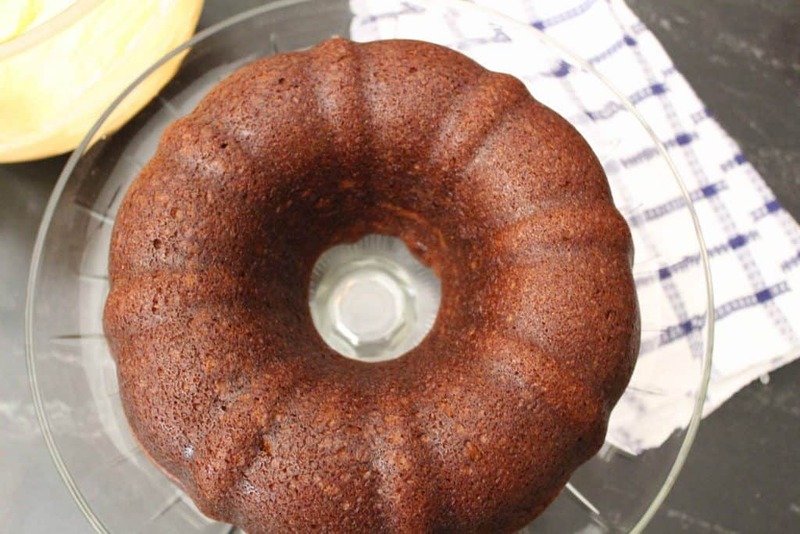 Light cake with pumpkin and cinnamon flavors...perfect for any gathering!